We offer you a unique selection mens & womens leather bracelets that will refine your successful fashion look. For centuries bracelets has been a trademark for women but has become as much of an important factor in men’s fashion. Nowadays leather bracelets has become one of many types of accessories. The importance of detail in fashion is one of the statements we make as an individual and distinguish us from others. Men’s fashion and various accessories have gained tremendous popularity during the years and are equal as women’s fashion and accessories. The history of leather bracelets goes back in the time of ancient Egypt and the Roman and Greek empires. This type of jewelry was a symbol for wealth and prestige. Greek and Roman warriors wore leather bracelets to impress their opponents. The elite, for example kings, faro’s and tsars wore this type of jewelry as a symbol of power and prestige and an indication of self-adornment. Mens leather bracelets and other personal jewelry were placed in their graves with the idea that it would be used in the afterworld. This type of wrist accessories was also worn for symbolic, religious or spiritual reasons and as a characteristic for a marital status or class distinction. Nowadays leather bracelets are worn for various reasons: symbol of wealth and luxury, fashion or even support a specific group of people like pink ribbon. The products we offer can be seen as fashion jewelry and are characterized as seasonless, fashionable and stylish Mens Leather bracelets. We have selected exclusive creations of excellent quality, that various from urban to sophisticated style and bring you these products to express your individuality. For our leather bracelets we use different materials as stainless steel, silver and leather. 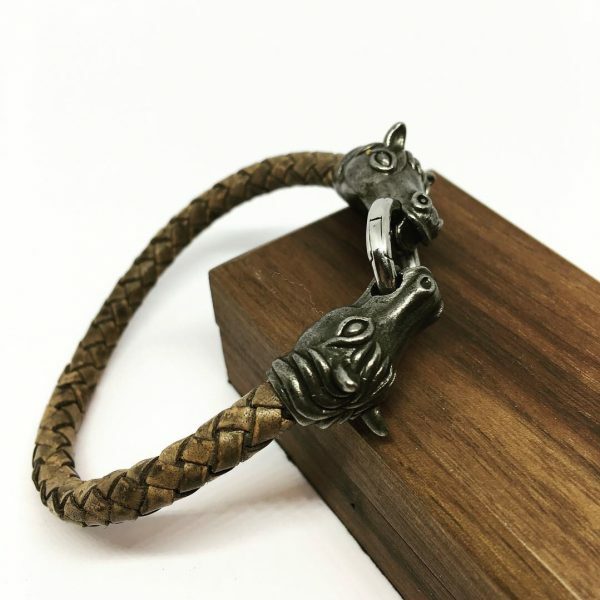 If you want to personalize your style with jewelry, we believe that you make a unique style statement with Mens bracelets. There is a unique selection of great quality, where you can choose from. 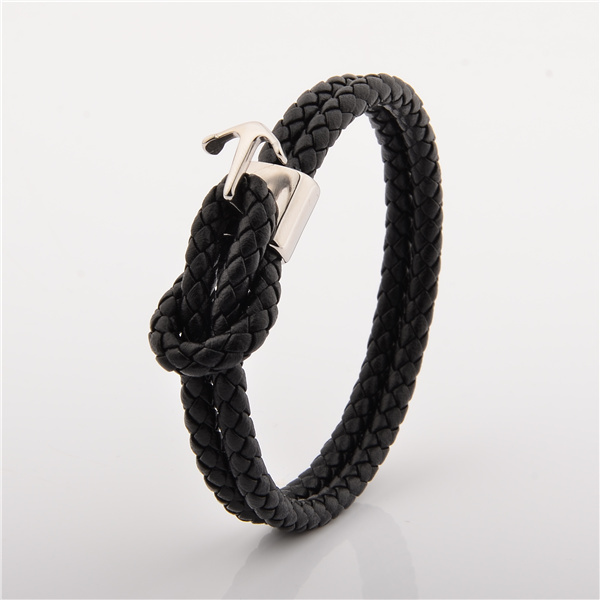 MENS LEATHER BRACELETS HERE TO STAY! And instantly it was cool and fashionable, a couple of years ago there wasn’t a lot of men wearing mens leather bracelets but times have changed. Men nowadays often wear such bracelets. What fueled this passion for these bracelets one can only wonder, is it the clothing designers who gradually introduced them in men’s fashion or was it Hollywood with a lot of male celebrities wearing leather bracelets in movies and tv-series, ahh.. well it doesn’t matter. It looks great and its a treasured male accessory now. 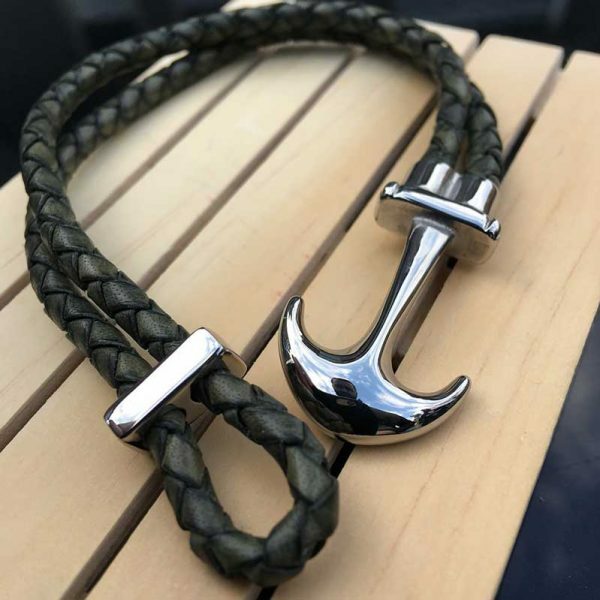 The Leather Or Nothing store offers a lot of different kinds of leather bracelets, from double wrap bracelets to leather cuff bracelets to anchor leather bracelets just take a browse and see for yourself. These bracelets are carefully selected fr0m several sources around the world. We make it our mission to offer a hip and modern selection of quality bracelets and aim for the highest possible customer satisfaction. 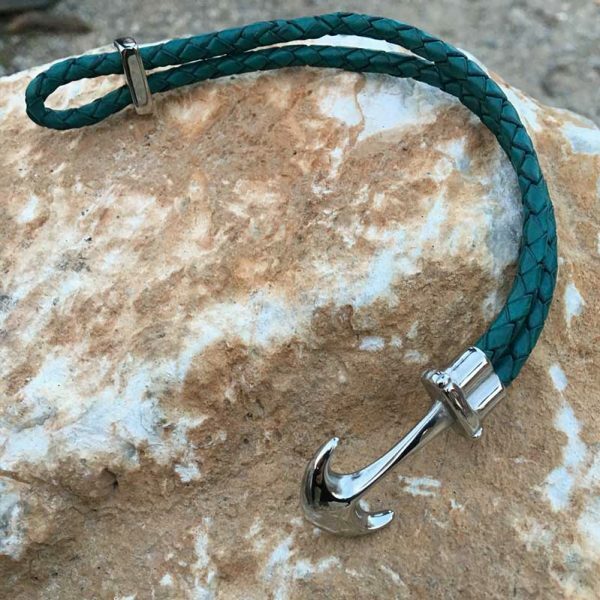 We also offer womens leather bracelets and Leather bracelets for couples, you’ll find these other bracelets in our menu under products. If for any reason you aren’t satisfied with a product purchased at Leather or Nothing we include a no questions asked 30 day money back guarantee on all our products. Feel free to contact us if you have questions regarding our leather mens bracelets or any other question. Well this is all for now, hope you will enjoy browsing through our store.